"Reactivity" means, quite simply, that the dog reacts to another dog, a person, or an object. Essentially, something or someone triggers the dog to do things like bark, growl, and lunge — which can look like the dog is being aggressive. But that's not always the case. Sometimes the dog is distressed and reacts out of fear, and other times, the dog is perfectly fine and has no inclination to attack the trigger. 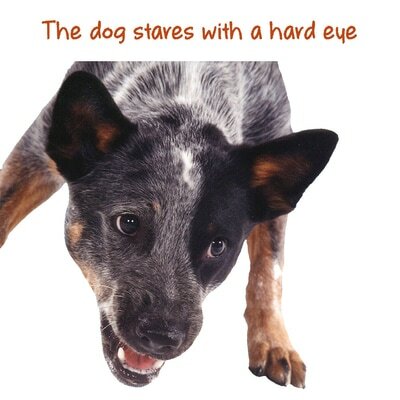 Reactivity related to what's called "barrier frustration"
While both types of reactivity can look the same to many people, they mean very different things to the dog. Barrier frustration is all about access and, more specifically, a lack of access. The dog wants to get to something but can't. Fear-based reactivity is more about making something go away. The dog is afraid of something or someone and can't escape because he's tethered by a leash. The differences can be hard to spot for many people, but with a little knowledge and a better understanding of canine body language, we can better determine which type of reactivity we've got. Be sure to watch our webinar for a more in-depth look at dog reactivity. But, and this is a big BUT, barrier frustration does not mean the dog is going to behave aggressively to whatever thing he wants to check out. If the dog gets along with others when his access to them is not blocked, he is likely not upset with them. He’s just frustrated that he can’t go say hi, play, or sniff out some info. Basically, you’ll see a lot of pro-social (read: friendly) gestures combined with attempts to get past whatever is holding him back. Blocking visual access, by keeping the window shades closed, for example, can help to reduce barrier frustration. Also a qualified trainer can help teach your dog good “greeting skills,” so that your dog doesn’t get quite so worked up when he happens by another dog when out on leash. It’s important to brush up on your body language knowledge so that you can differentiate between a barrier frustrated dog and one who is afraid. Let’s learn more about the latter now. 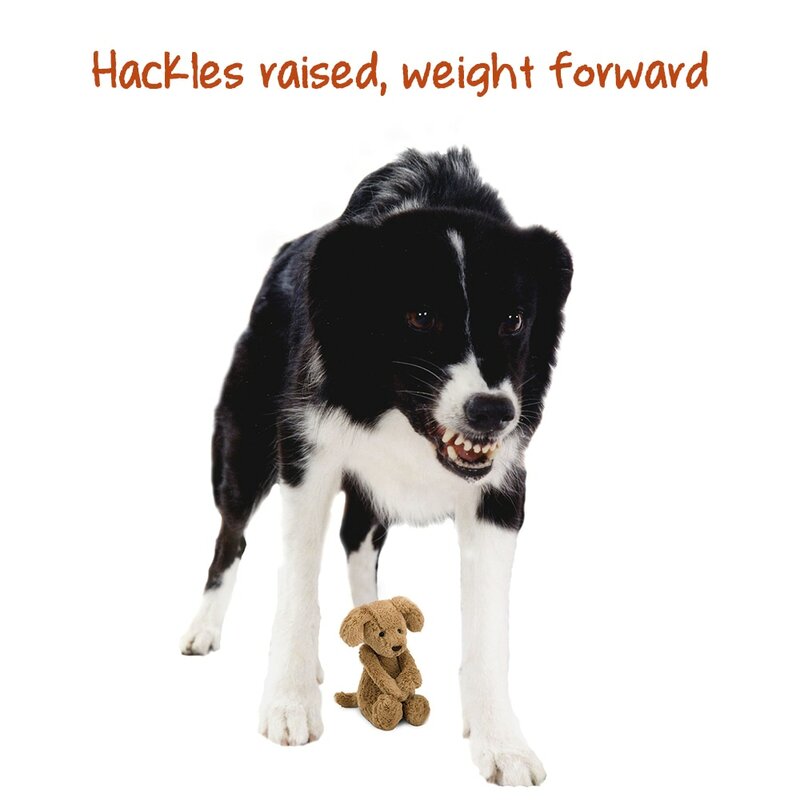 In fear-based reactivity, the dog’s behavior is more “organized.” Like we discuss on the Response to Threat page, the dog is more likely to go through orderly steps to tell an animal (or person) to back off. 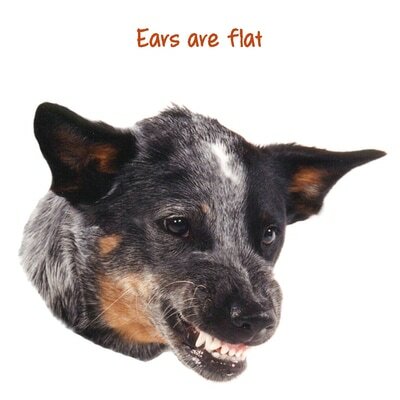 For most dogs, the last thing they want to do is to bite and risk getting attacked themselves, so they have a nice vocabulary of warning signals. Tension on the leash when another dog is in sight. This may begin at a pretty great distance, but the dog is aware of the other dog in the environment. Growling. 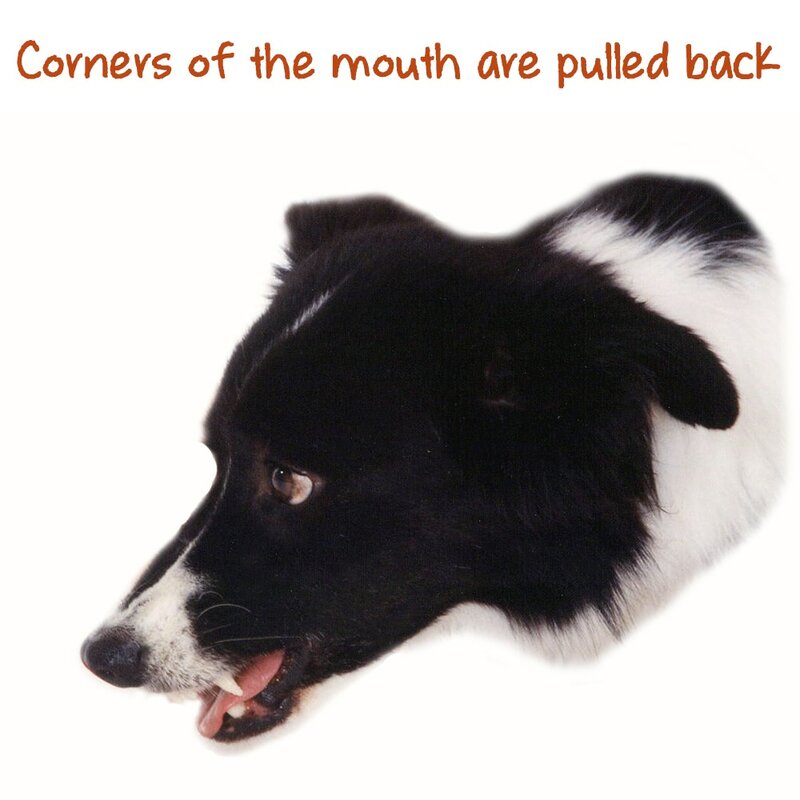 Low level growling may begin as soon as the other dog is perceived, regardless of distance and may grow in intensity if the other dog gets closer. For some dogs experiencing fear-based aggression, walking at off-hours, walking in less populated areas, and/or using muzzles (see video below) can help both ends of the leash find walks safer and more enjoyable. Be careful to never grab a dog who is displaying reactivity, because redirected bites — where the dog lashes out at the nearest thing to him — can occur. Become less tolerant of other dogs getting into their personal space. Let your dog vote with her feet. Let her play with the dogs she wants to play with and help her walk away from the dogs she doesn't. Learn to Love a Muzzle?!? It may seem crazy, but with the right training, your dog can actually learn to love wearing a muzzle. Chirag Patel, of Domesticated Manners, teaches animals to love doing things that might otherwise be scary — such as veterinary visits and even wearing a muzzle. If you’ve got a reactive dog and are feeling alone and stressed, know that there are others out there like you. Jessica Dolce has designed a course called Living with DINOS (short for "dogs in need of space"), that — to supplement training you are doing with your dog — is a place for support where you can learn how to enjoy your dog, and your life, more fully.